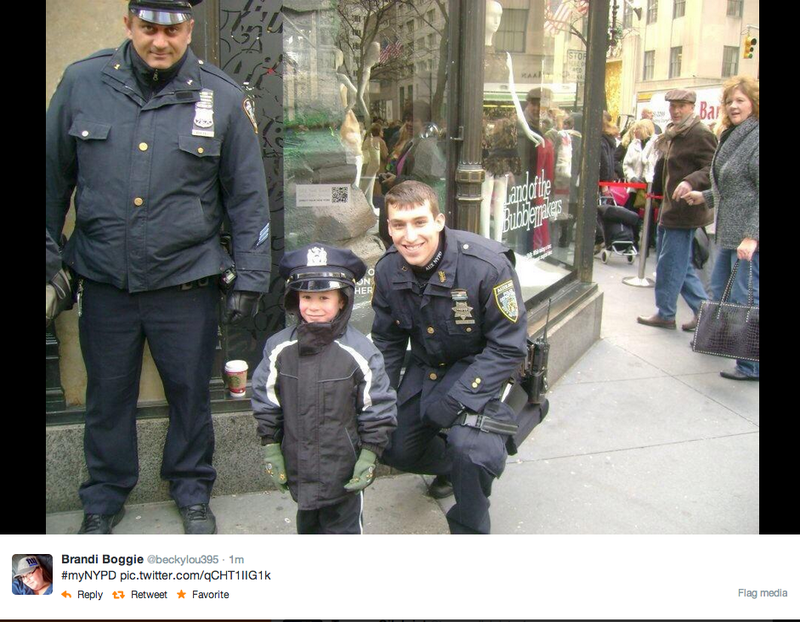 Recently there has been an uproar on Twitter, specifically with the New York Police Department. About a week ago there was an effort from the NYPD to try to make their fans, or lack there of, more interactive with the police force of NYPD. 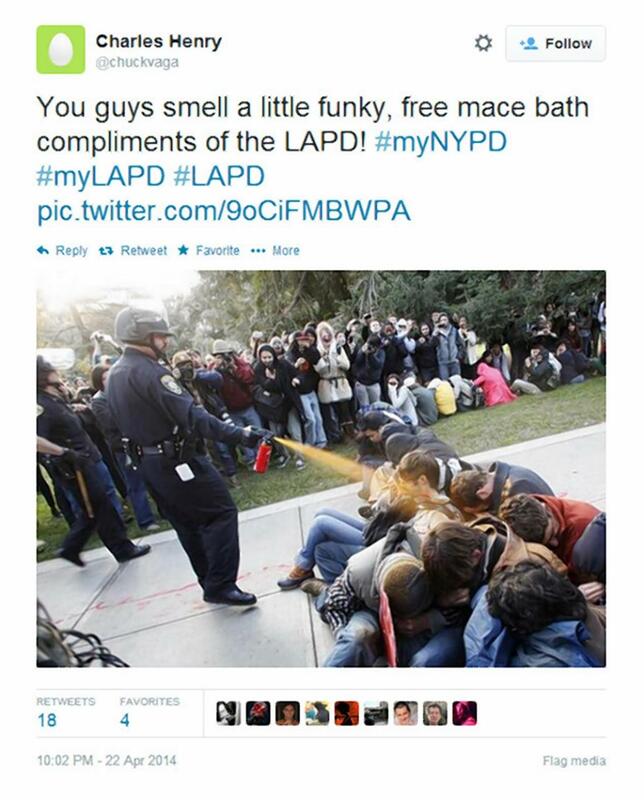 The social media department of the firm decided it would be a good idea to have people tag themselves in social media posts on Twitter in pictures of them with police men with the hashtag #MyNYPD. I’m sure they were thinking causal pictures of people hanging out with cops at local parades and events. But the public took another turn and had a different take on the challenge. They decided it would be a good idea to tag people that were being physically assaulted by officers. Of course there can only be so much done to handle the whiplash of the hashtag, but soon it went viral and over 70,000 pictures had the hashtag contained some sort of inappropriate behavior of a cop. These pictures ranged from people being arrested, to videos of them being assaulted by officers for no reason. They should have seen this coming or had a way to try to slow down the conversations, but because it is Twitter there is no way to control it. When you enter the social media realm, particularly with hashtags which anybody is able to use, you are giving up complete control of your image. Perhaps, the NYPD could be proactive about the backlash on Twitter by literally reacting to these posts and cracking down on their police force that is acting unjustly. They gave the public a platform to interact with them, and the public responded in full force. They could turn this into a positive thing by rebuilding their relationship with the public by enforcing some new regulations on their law enforcement. As I like to say “because the Internet, mistakes are forever.” Especially on social medias. Things do not just go away if they are posted to the public people will copy and repost it everywhere if it goes viral you will never see the end of it. The NYPD could respond to the back-lashings that they are receiving such as punishing the officers that act in such a manner. One you give the public to speak to you or about you there will always be negative comments and if you do receive them you need to respond in a proper manner in order to handle the negativity first hand. In order to turn this positive is they will need to reach out to the community and rectify the situation possibly by publicly firing these officers to show the community that they take this serious. I agree that in the realm of social media, mistakes can never be destroyed. They can however be corrected. The NYPD has a chance to correct their error. They should now realized that if they are going to do a type of social media campaign that the public will be able to say and do anything to sabotage it. Unfortunately, most interactions the police happen because of negative behavior and they should have realized that. Hopefully next time they will think a little more before they get on social media. Wow! I didn’t see this in the news so I’m glad you posted it. After all we’ve talked about in class, you think an experienced marketer would know this would have ended badly. They should have had a plan in place to prevent something like this from happening. I think they need to seriously reconsider this account and see if there is anything they can do at this point to turn it around. This is utterly ridiculous and how could they think it’s a good idea to be posting images where people are assaulted. Who would ever think that would be okay in terms of gaining following, as mentioned it would do the opposite affect. Surely this would create buzz for NYPD but not in the spotlight they were hoping…it’s almost like a Miley stunt, but her purpose was to do something crazy to create buzz around her so people would be talking about her craziness. If the NYPD really wanted more online engagement, there are way better ways to achieve that than what they exposed. The cool thing the NYPD has going for them is that with social media, barely anyone is going to remember this in a year. With the ability for things to trend overnight, its easy for a popular thing one day to be pushed aside the next day. A great example of this would be Psy. Last year, you couldn’t go anywhere without hearing Gangnam Style. Now, people remember the song but it wouldn’t come up unless someone mentioned it. « DogeCoin – How a Joke Cryptocurrency has turned into a Brand.